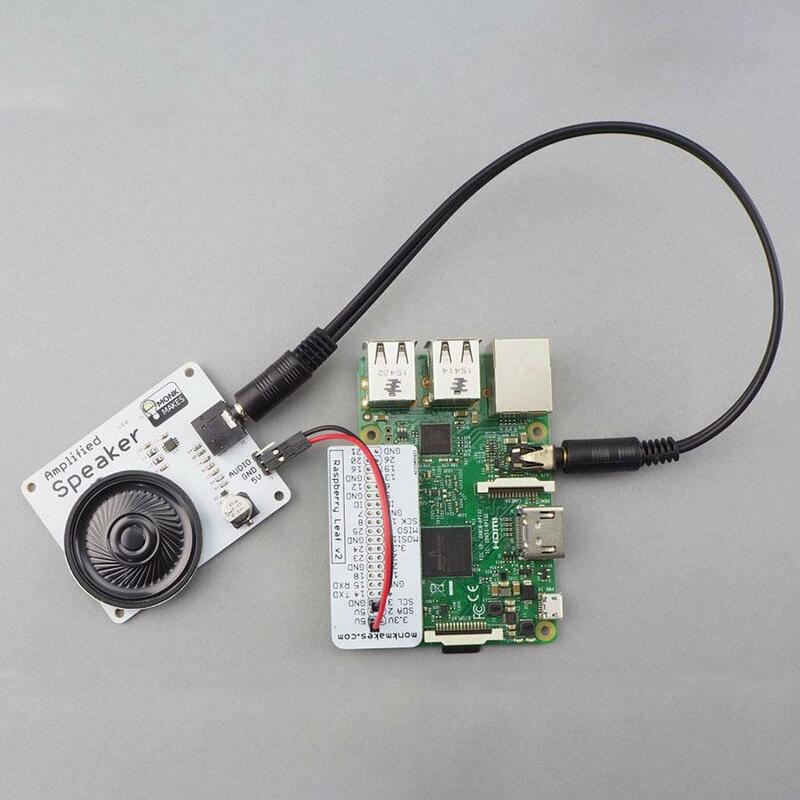 The Speaker Kit for Raspberry Pi is a great way of attaching a small amplified speaker to a Raspberry Pi. Fit the Raspberry Leaf GPIO template over the GPIO pins of your Raspberry Pi (Make sure you get it the right way around). Use the red female to female header lead to connect one of the pins labelled 5V (it doesn’t matter which) on the Raspberry Pi to the 5V pin of the Amplified Speaker. Use the black female to female header lead to connect one of the pins labelled GND (it doesn’t matter which) on the Raspberry Pi to the GND pin of the Amplified Speaker. Use the audio lead to connect the Raspberry Pi’s audio socket to the socket on the Amplified SPeaker board. Note that its a good idea to do this before you power up the Raspberry Pi, otehrwise it can cause the Raspberry Pi to reboot. Open a Terminal session on the Raspberry Pi and run the following commands to download an audio file and then play it.